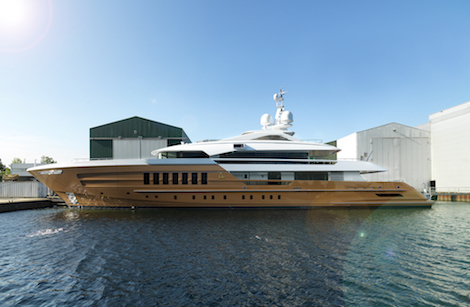 Dutch shipyard Heesen yachts has announced that 55m fast displacement yacht Azamanta, formerly YN 17255, was delivered on 10 July in international waters. 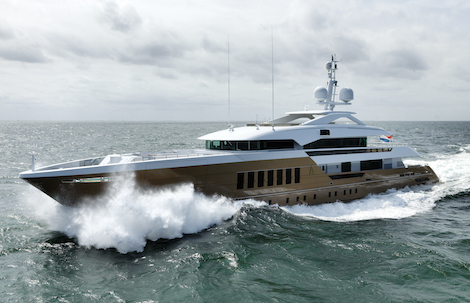 She is the yards first fast Displacement steel-hulled yacht over 50m, developed by Van Oossannen Naval Architects. Azamanta’s sea trials took place on June 17-18 in moderate sea conditions with an increasing southwesterly wind. However, in spite of these weather conditions, Azamanta exceeded the conceptual speed by 0.4 knots, reaching a top speed of 16.5 knots. Powered by two MTU 12V 4000 M53 engines with twin Schaffran five blade fixed pitched propellers, Azamanta demonstrates high levels of efficiency and is able to reach a speed of 15 knots using only 1,650kw of power, which is considerably lower than a large proportion of the 50m – 55m displacement motoryacht fleet. Azamanta has good range of 4,500nm and a fuel capacity of 100,000 litres. With exterior design by Omega Architects, Azamanta has vertical windows with numerous glass insertions in the bulwarks, promoting natural light. 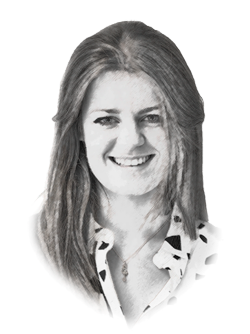 The in house Heesen designers worked in collaboration with Omega Architects on the superstructure aft, which is free from pillars. Sinot Design has developed the interior in line with the owner’s passion for Metropolitan-style Art Déco.